Ashley and Jeremy Ramsey of FIT Method will be bringing you a 4-part TRX core series. This week, learn how to use the TRX band and do TRX crunches. Next week, we’ll look at proper form for TRX side crunches. Think this looks cool? Want to get in shape? You can try any of our FIT Method classes for free! What do you do if someone grabs you around the waist from behind? Coach Doug shows you an escape that uses leverage rather than strength. Every month we do a Free Women’s Self-Defense Class! Check it out and download a flier that you can share. Want to learn more ways to defend yourself? Sign up for a free introductory private lesson! F.I.T. Method is Here at WNY MMA & Fitness! WNY MMA & Fitness is very excited to partner with F.I.T. Method! Our new Fitness offerings include: FitRanX, TRX Suspension Training, the willPower Method, Combat Fitness Training, MMA Conditioning, Power Core, and Yoga! 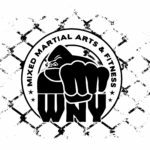 Plus we’ll be adding lots of new equipment so it will be all the more convenient and awesome to work out at WNY MMA & Fitness. You can check out the full fitness schedule, as well as updated class descriptions! Do the classes sound like fun? Sign up to try one for free!